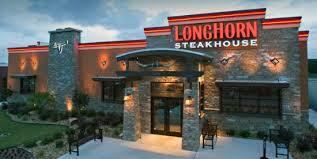 Last night we went out to Longhorn Steakhouse in Liberty. We really enjoy one of the starter items, Wild West Shrimp. Comes with a side of ‘ranch’ dressing and is accompanied by some hot peppers. They are tiny breaded shrimps, you just dip em and eat em like popcorn. We ate a salad each, and both had ‘ranch’ dressing on it, too. We split a T-Bone steak that was about 30 ounces, cooked medium, and ate just about half of it between the two of us. It was seasoned with salt and pepper, probably, but You Just Never Know. They produce a steak sauce there at the table for you by mixing some spices with some sauces. Karen had some of that, not much, I had none. She had unsweetened tea, I had ice water. Soon after dinner, but before the box came out to put the leftovers in, Karen began to complain that she was getting a headache and her heart was racing. Mine was too, but no headache for me. By the time I got home my heart was pounding pretty good. I went to bed at ten and by three I was wide awake in bed. Karen was tossing and turning too, and I think the restlessness was related to some added ingredient in our dinner. I guarantee you that if I had made that same steak at home, and ate a salad with my own home made real ‘ranch’ dressing, we would have had no symptoms or trouble sleeping. I would think that eating a steak dinner at a good steak house would give one the best possible chance to avoid food additives that are disagreeable. I guess, if that is true, then eating at any corporate eatery is probably not a good idea any more. I kind of hate knowing that, but it will save me a small fortune going forward. This entry was posted in Health, Living and tagged food additives, home made food, msg, restaurant. Bookmark the permalink.